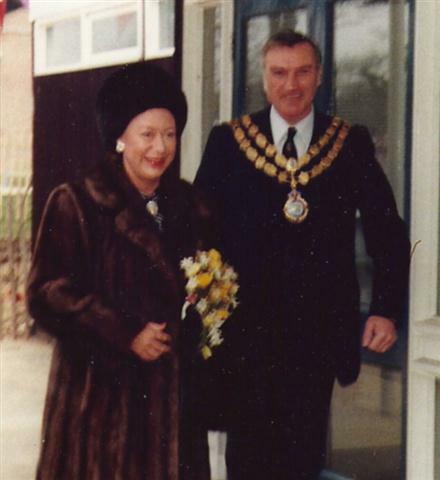 Her Royal Highness the Princess Margaret, Countess of Snowdon, accompanied by the Chairman of the Council, Councillor F.P. 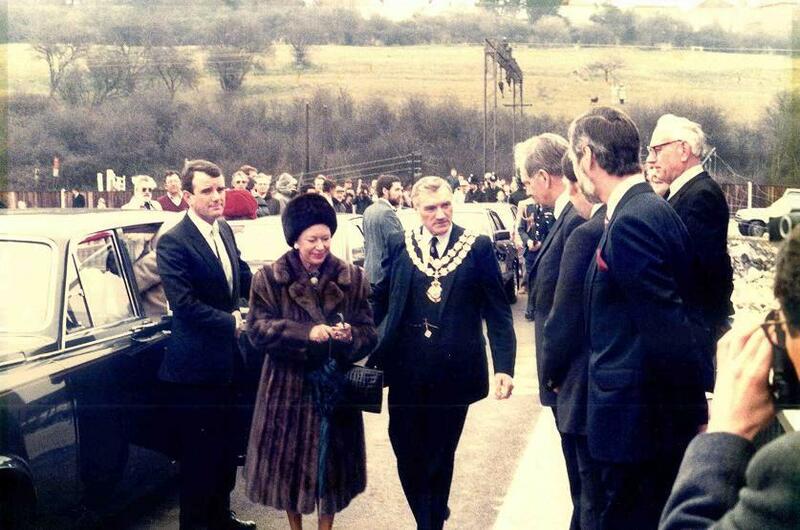 Wood, inspecting the new Tidal Defence Barrier at Benfleet Creek, during her visit to Castle Point on Thursday, 5th April, 1984. In the early 1980s the Benfleet tidal defence barrier was constructed as part of the Thames tidal defences, which also included the construction of the Thames Barrier. Working in conjunction with the Easthaven Barrier it was built to protect the people of Canvey Island and Benfleet from flooding. 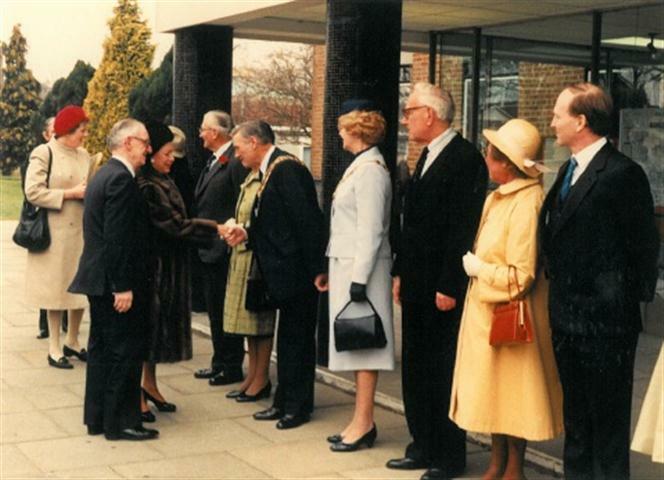 The first photo shows Princess Margaret and Councillor Wood, together with various officials, inspecting the new barrier. 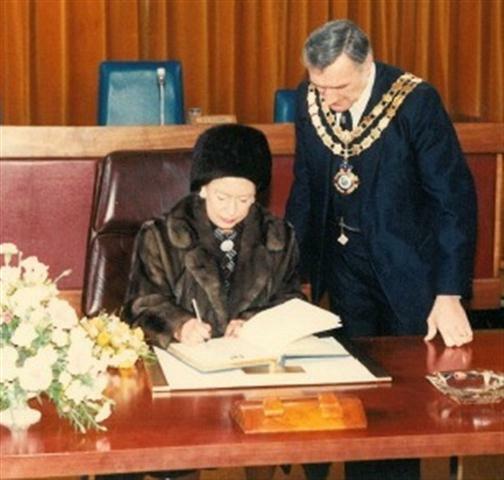 Later the Princess visited the Council Offices where it is believed she was entertained to lunch.